In addition to the Woodstock New York location, The Sage Center and the Academy Of Sound Energy is now also installed in France, near Aix-en-Provence. The two locations are committed to wellness through sound healing in a quiet, confidential and sacred context, to elevates the mind and body at a higher rate to get closer to who we have become. We focus on the care with sacred sounds, the sound healing workshops and the tools of sound. 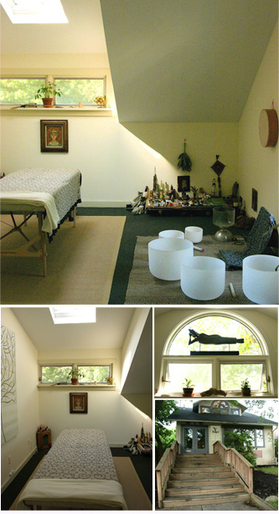 SAGE ACADEMY OF SOUND ENERGY and Center for the Healing Arts was founded in 2007 by Philippe and Lea Garnier, and is located in Woodstock, NY at 6 Deming Street, as well as in Aix en Provence in France. Committed to a respectful and gentle approach to healing, our workshop’s, event’s and private healing sessions uplift the body, mind and spirit to a higher frequency bringing us closer to whom we are becoming. Set in both a tranquil and sacred atmosphere our focus is on Sound Awareness for healing, with a dash of other complimentary modalities to help bring forth our mission of supporting health and wholeness in our community in in the U.S. and abroad. Please take a look around the website to see our ongoing programs and teachings, training, healing concert and other wonderful new offerings! 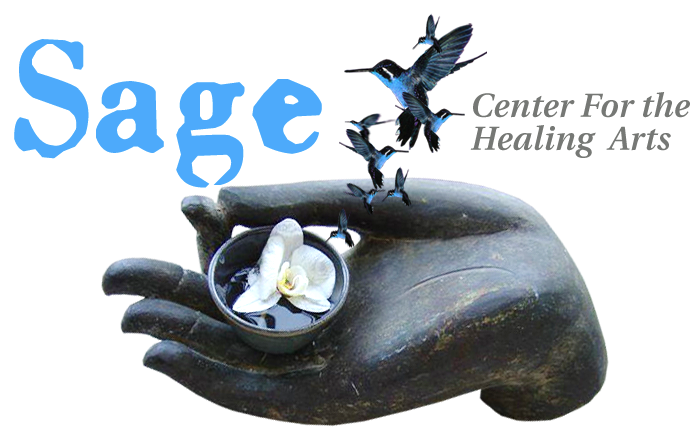 SAGE ACADEMY OF SOUND ENERGY organizes retreats on how to integrate healing sound into your life! 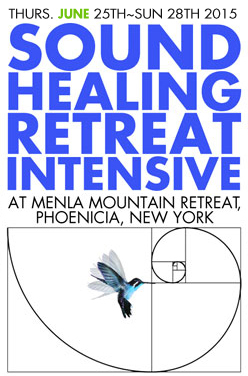 The most well known being the Annual Sound Healing Retreat Intensive & The Yoga Of Sound taking place at Menla Mountain retreat, upstate New York and Ananda Ashram in Monroe, NY. This year will be our 5th consecutive year with the foremost experts in the art and science of sound healing coming together once a year to train and teach the therapeutic effects of sound energy. Please visit our "Retreats" Page for details. SAGE ACADEMY OF SOUND ENERGY Offers a yearly Sound Healing Training Course. The mission of these Master Training classes is to explore the many facets and approaches to Sound Healing, from the cellular to the spiritual level. We study and train in the use of the crystal singing bowls, tuning forks, Himalayan singing bowls, Gongs, voice, drums & rattles. It is an 88 Hour Certification Program. Please go the "Sound Healing Training" Page for details. 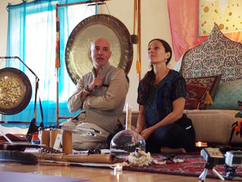 The Founders: Philippe Pascal Garnier and Lea Garnier started Sage Center for the Healing Arts in 2007, becoming the Mecca of teachings, workshops, classes and experimental healing concerts in the upstate New York area and attracting people from the city and surrounded state. 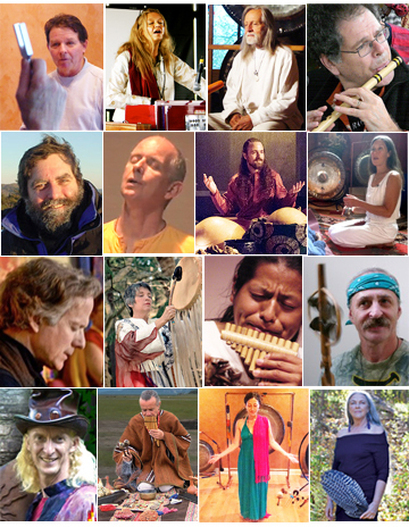 Over the years Sage grew and transformed into an Academy Of Sound Energy as many reknown teachers associated themselves with the organization by their teachings and later on, their friendships related to the enthusiasm and authenticity that animated us in spreading and expanding the awareness of sound energy around the world. We are grateful for their support and for the talents they share with our community and sound Sangha. 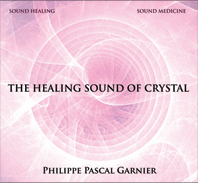 you would like to hear"
-Philippe Garnier, sonotherapeute, Sound Healer, teacher, and retreat organizer. "The Sound Healing retreat at Menla was one of the most profound experiences I've had, and for that, and for all of you, I am truly grateful. Philippe and Lea, thank you for creating this amazing event. Lifetimes of knowledge were shared over four quick days and all of that is going out into the world as quickly as needed. A convergence definitely occurred that was of great importance. Each day a little more comes to me and I share it with others. With my deepest gratitude".